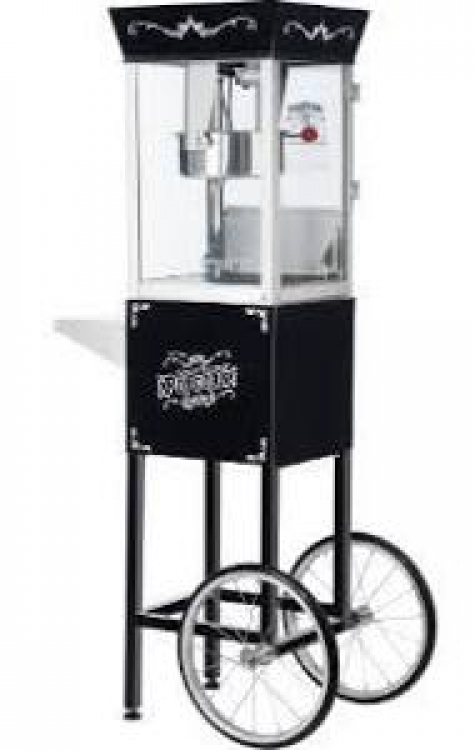 Our popcorn machine rental is a commercial grade 8 ounce popper that makes delicious theater quality popcorn at a fraction of the price. Great for birthdays, the big game, carnivals and parties. It’s sure to make your event memorable! 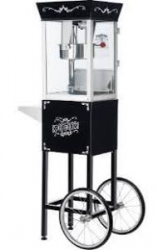 The rental price includes rolling stand, bags, popcorn, oil and salt for 50 servings. Supplies for an additional 50 servings can be purchased for $20. An additional $20 surcharge will be added if this concession is rented without a bounce house.